Today, more than 11 billion Internet-connected devices produce more than 8 zettabytes of data per year. By 2025, forecasts call for 80 billion devices and 180 zettabytes of data, respectively. Properly collected and analyzed, this data can help you better understand your customers’ interactions with your brand(s) and deliver increased revenue, bigger wallet share, and happier and more loyal customers. Watch this video to understand the importance of online and offline data. ISM President Barton Goldenberg and Chad Engelgau, VP, Global Identity and Data Product Management for Acxiom will discuss in this Webinar recording: how to drink from this digital firehose. 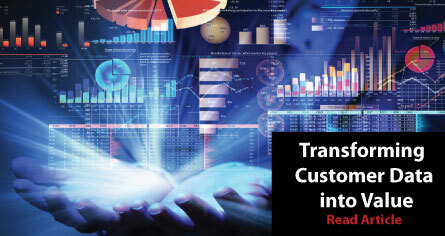 You will additionally observe real-world case studies and gain insights from two industry leading companies on the topic of Transforming Customer Data into Value.